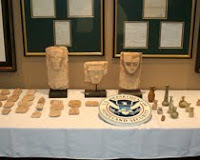 Homeland Security Investigations (HSI) petitioned for a warrant on July 12, 2011 to search Salem Alshdaifat’s home-based business and seize “antique coins and[/]or other antiquities or any other works of art or cultural antiquities of Greek, Roman, Mesopotamian, Islamic, European, Egyptian origin . . .” HSI also requested business records, correspondence, photos of merchandise, bank records, import records, and the like located at the home. An HSI special agent applied to the United States District Court for the Eastern District of Michigan for the warrant to search the home. That is the location where it is reported that Alshdaifat runs the ancient coins business called Holyland Numismatics. The affidavit, now unsealed, reveals further details about the antiquities smuggling investigation into Alshdaifat and three other co-defendants--Mousa Khouli, Ayman Ramadan, and Joseph A. Lewis, II. It should be noted that a search warrant affidavit is a narrative that a law enforcement official or prosecutor supplies to a judge. It is meant to demonstrate the probable cause to believe that an object or thing is at a specified location and that it is probable evidence of a crime. Information contained in a search warrant affidavit may or may not be admitted as evidence at a trial. That is why an affidavit should not be read to form a conclusion of criminal guilt. 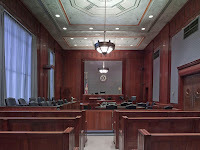 Only a jury can decide whether there has been a violation of law, basing its decision only on legally admissible evidence. In the present case, the federal agent’s affidavit called attention to several observations and actions of interest. For instance, the search warrant petition was filed following a review of Alshdaifat’s Yahoo! email account. Also reported were Alshdaifat’s alleged sale of ancient Egyptian artifacts in 2009 and his alleged importation of ancient coins in Detroit in 2010. The partner referred to is Ayman Ramadan of Nafertiti Eastern Sculptures Trading in Dubai (NEST). Alshdaifat referred to NEST as his Dubai office, and that “Ramadan ships antiquities from the UAE to Alshdaifat’s customers on Alshdaifsat’s behalf,” declared the affidavit. On December 20, 2010, Alshdaifat carried coins through the Detroit Metropolitan Airport on his way back from Amman, Jordan, according to the affidavit. Customs reportedly seized the coins because Alshdaifat presented inconsistent sets of invoices during two separate airport inspections. The first invoice presented was from NEST to Holyland Numismatics for Byzantine gold coins and Byzantine gold tremissis coins totaling $234,875. The invoice stated that they originated from Syria, according to the affidavit. Alshdaifat then reportedly offered a second set of invoices listing Byzantine gold coins and Roman-Egyptian billion tetradrachms. When Alshdaifat returned later with two mail packages of similar coins in an attempt to convince federal authorities to release the detained coins, customs officials seized these packages too because they were without entry paperwork, declared the affidavit. Federal agents staked out Alshdaifat’s home in June 2011. After seeing a “for sale” sign posted, two HSI agents posed as potential buyers of the house and entered the home with a real estate agent. Alshdaifat was at the residence at the time. The agents reportedly observed pictures of coins on Alshdaifat’s computer and as well as books about ancient coins and artifacts. Based on this information, federal authorities applied for a search warrant of Alshdaifat’s Michigan home. That search warrant preceded the eventual multiple count indictment against Alshdaifat and the three named co-defendants on charges related to antiquities trafficking. Contact information may be found at www.culturalheritagelawyer.com. Labels: Egypt, Immigration and Customs Enforcement (ICE), prosecutions, US v. Khouli et al.